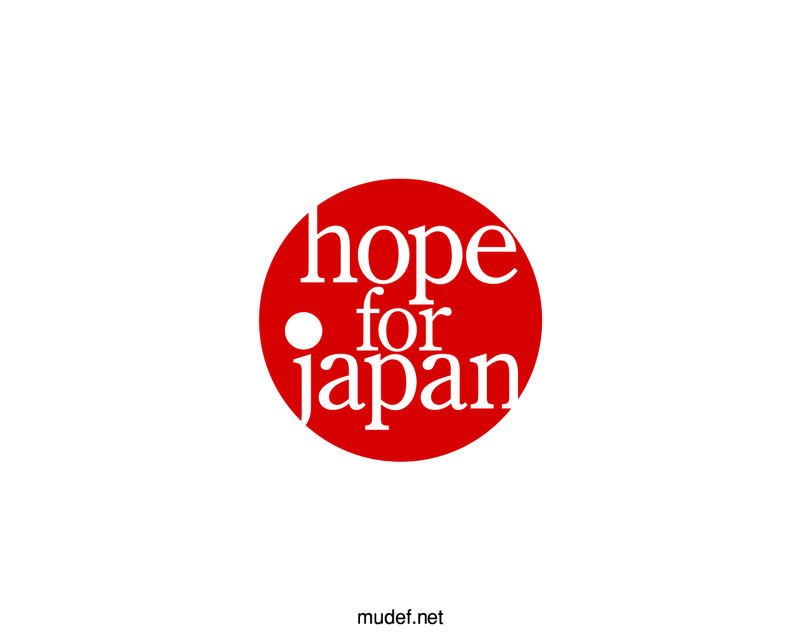 mudef released Press Release 'HOPE FOR JAPAN' Vol.1. on March 17, 2011. General Incorporated Foundation mudef (location: Shibuya-ku, Tokyo; President: Hiroto Tanigawa) would like to express our heartfelt condolences and sympathies to the lives lost and to those who have been suffering from the Great Tohoku Earthquake that stroke the country at 2:46 p.m., March 11, 2011.
mudef has started a project called ‘Hope For Japan’ to support the emergency relief and recovery activities. Wishing for the soonest possible recovery of the disaster-stricken areas, General Incorporated Foundation mudef decided to launch an emergency relief project titled ‘Hope For Japan’. The project asks for donations and messages from around the world to the people affected by the terrible disaster. Your donation will be channeled to 5 organizations conducting support operations for the victims in the disaster-stricken areas. Click hereto read mudef’s message about the earthquake in Eastern Japan. We hope that you agree to the objective of ‘Hope For Japan’ project, and send us your donations and messages. Method of donation: Please send donation through bank account and postal transfer account. *mudef accepts donations exclusively through its bank and postal transfer accounts and at venues of MISIA’s lives. *During the period mentioned above, your donations will be processed as earthquake recovery assistance unless specified. *If you need a receipt, please contact mudef office (hope@mudef.net). Click hereto read details of the donation. We will try to report the status of the fund-raising and share messages from the disaster-stricken areas in a timely manner. Thank you very much for your support. MISIA makes donation through ‘Hope For Japan’. MISIA (a Japanese artist) has started her support for recovery through ‘Hope For Japan’. After making a donation herself, MISIA urged the general public to participate in the project through the website. She has expressed her willingness to continue her support. Please allow me to express my heartfelt sympathy to those affected by this unfortunate disaster. My thoughts and sympathies are with you. General Incorporated Foundation mudef has started a fund-raising program to collect relief money for the Great Tohoku Earthquake. I have joined this program and made a donation through mudef. I believe that to support one another shall become the powerful driving force to overcome the terrible loss caused by the catastrophe together. to use less electricity; to refrain from purchasing fuel; to stay calm; and to support one another. I think making a donation for the relief money is among those actions we can take. We are facing such a tough situation, but let us have hope! Please join me in making a donation. TAKURO (GLAY) makes donation through ‘Hope For Japan’. TAKURO (GLAY) has joined ‘Hope For Japan’ and made a donation for the victims of the Great Tohoku Earthquake of 2011. TERU (GLAY) sends out his message for ‘Hope For Japan’. TERU (GLAY) has joined ‘Hope For Japan’. He introduced the project on his own website and asked for more participation. MURO joins ‘Hope For Japan’ and sends out his message. 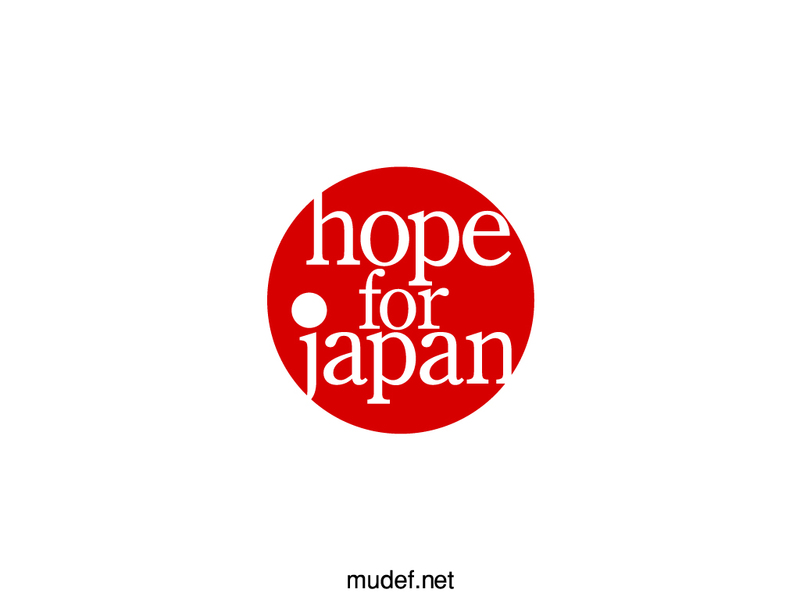 MURO (Producer/DJ) has joined ‘Hope For Japan’ and has sent out his message on his website. Mudef makes its first donation to the 5 partner organizations on March 17, 2011. Mudef has made its donation from the fund it has raised through ‘Hope For Japan’ to the 5 partners on March 17, 2011. Summary of the donation is as stated below. The total amount of fund raised as of March 17, 2011, is as stated below. *Donations sent through postal transfer might take a few days to be accepted; thus, those donations might not be reflected in the total amount yet. *Mudef will responsibly channel the fund to its partner organizations so that they can deliver it to those who are suffering from the devastation. We would like to extend our deep gratitude to those who have joined our fund-raising project ‘Hope For Japan’. 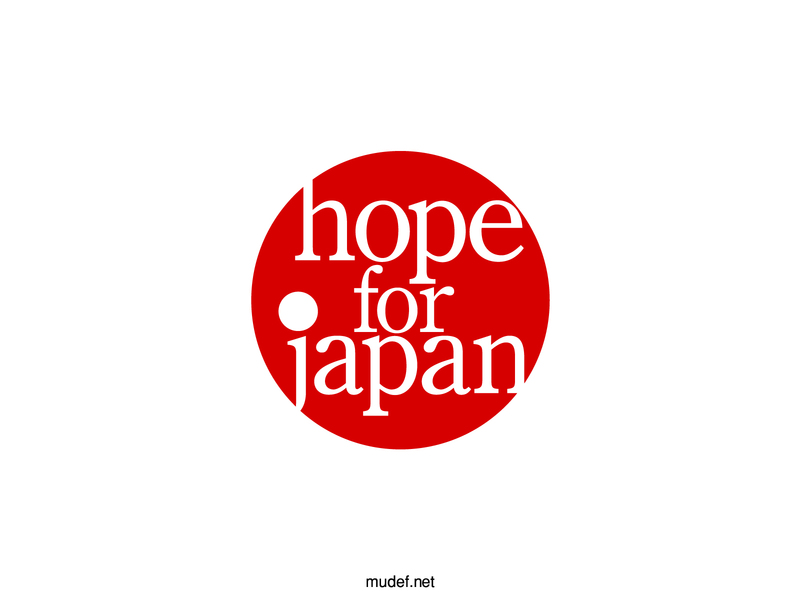 ‘Hope For Japan’ logo has been designed by Mr. Mitsuo Shindo (art director). It has been designed to express our sympathies to those who are suffering from the catastrophe and our hope for recovery. ‘Hope For Japan’ wallpapers are available below. This press release can be quoted without permission.